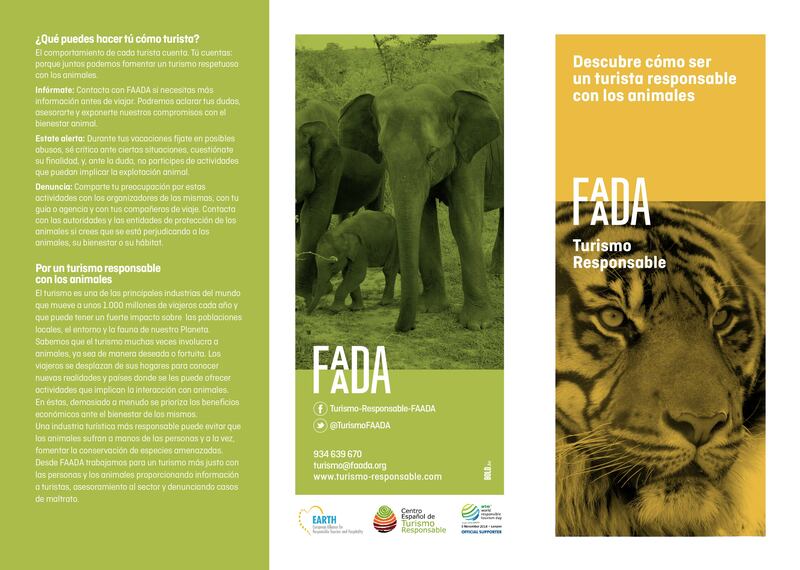 Profile FAADA (Fundación para el Asesoramiento y Acción en defensa de los animales) is an animal welfare organization based in Barcelona, Spain. The organization has been working for 10 years towards the protection of animals. 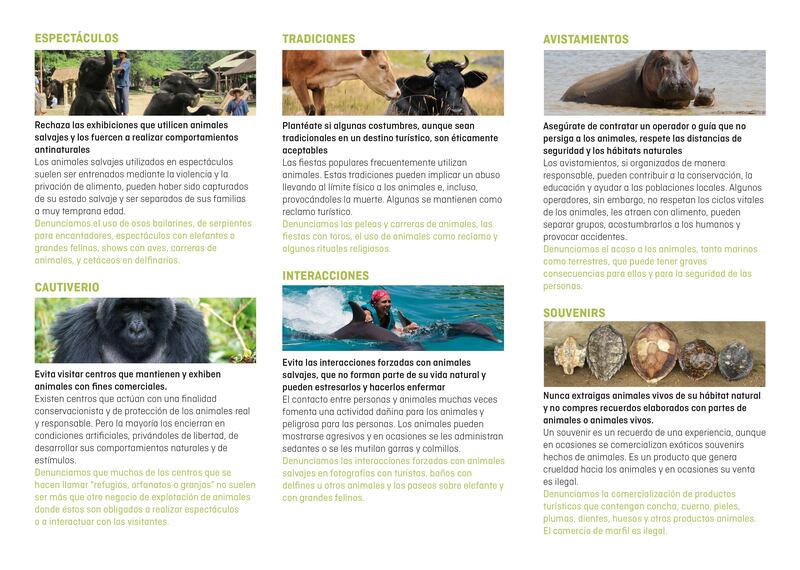 One of the Foundation’s campaigns is called Responsible Tourism towards animals (www.responsible-tourism.org) an initiative created with the aim of informing tourists and people in general about the harsh reality behind some of the most popular tourist activities with animals, and to help both professionals of this industry and travellers to find animal-friendly and ethic alternatives.